In 1976 McCone County passed a resolution to expand the Planning Board to include representatives of the Town of Circle. The joint planning board consists of nine members (five county, three town and one conservation district) and includes the jurisdictional areas of McCone County and the Town of Circle. The purpose of the Board is to improve the present health, safety, convenience, and welfare of the citizens and to plan for the future development by providing that highway/road systems be carefully planned; that new growth areas grow only with adequate roads/streets, utility, health, educational, and recreational facilities; that the needs of agriculture, industry, and business be recognized in future growth; that residential areas provide healthy surroundings for family life; and that the growth of areas be commensurate with and promote the efficient and economical use of public funds (Title 76, Chapter 1, Section 102, MCA). McCone County and the Town of Circle have adopted growth policies and share responsibilities for updating the policies. 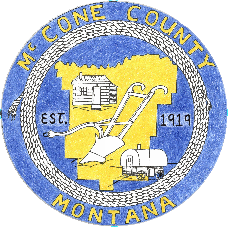 Through staff or contracted services the Planning Board administrates the McCone County Subdivision Regulations, Town of Circle Subdivision Regulations and reviews certificate of surveys prior to filing with the County Clerk and Recorder for proper land division exemptions for compliance under the Montana Subdivision and Platting Act (Title 76 Chapter 3 of the Montana Codes Annotated). The Planning Board serves in an advisory capacity to the County Commissioners and Town of Circle Council regarding overall land use development and management.